1537 Lantana Ct, Weston, FL.| MLS# A10602062 | Susan J Penn l Best Agent l Buy & Sell South Florida Homes! This home has it all plus great value! This fabulous 5 bedroom one story home features an amazing screened freeform heated pool and marble paver patio. 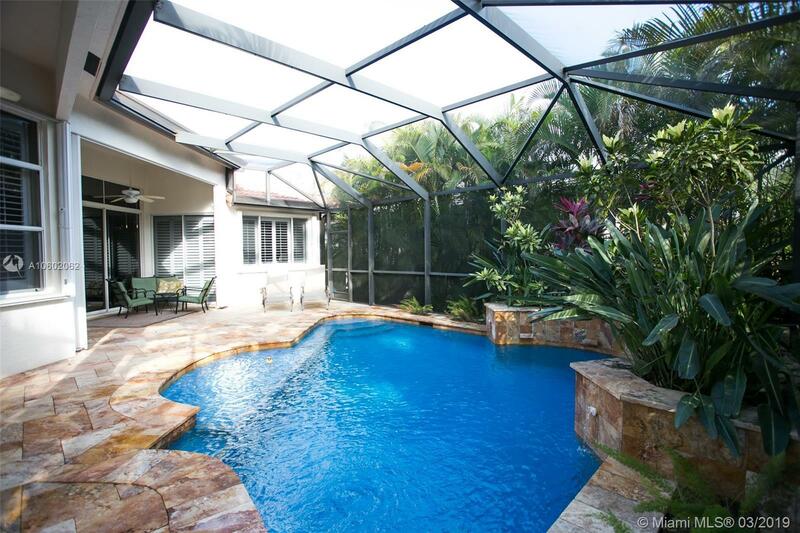 It is lushly landscaped for complete privacy and creates a perfect tropical oasis for your outside enjoyment! Step into the elegant elevated entry foyer which leads to the gracious living room and formal dining area. Granite kitchen with marble backsplash, stainless steel appliances and large pantry opens to family room and breakfast area. Floor plan offers a 4 way split. Interior updates also include wood flooring, Plantation shutters and 2 a/c's 2014. Exterior has accordion shutters and roof installed in 2015. Community play area and 24 hour guard gate!